AstraZeneca is a global, science-led biopharmaceutical company that focuses on the discovery, development and commercialization of prescription medicines, having 21 brands for the treatment of diseases in different therapeutic areas like Respiratory , Gastroenterology , Cardiovascular , Diabetes and Oncology. AZ is living a total transformation worldwide through a science-led innovation strategy. In AstraZeneca we believe in the potential of our people and we'll develop you beyond what you though is possible. We make the most of your skills and passion by supporting you to see what you can achieve no matter where you start with us. As Medical Representative , you will play a vital role in improving patient's lives in the territory. You'll lead the integration of all sales and marketing activities with the utilization of multiple sources into the assigned area . Prime Objective will be to ensure the achievement of sales Targets in line with the best practice and undergoing AstraZeneca policies and procedures. Achieving market growth and others. Taking responsibility for KPIs development and reporting. Pharmacy, Medicine or Vet graduate. Effective interpersonal and team building skills. Self motivated, hard worker, team player with innovative skills. Completed military or other governmental obligations. We are a global, science-led bio pharmaceutical business and our innovative medicines are used by millions of patients worldwide. 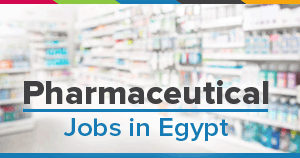 Sales Representative At Orange Store In ..
Medical Representative (Orthomedics) - C..